Beaufort, NC, known in the beginning as “Fish Town”, and known for Blackbeard was the third largest port in the state during the 1700’s. This is a small, quaint, town that is loaded with history and beautiful homes. As a small eastern North Carolina town, early trade centered around lumber products shipped from the Newport River area plantations to the West Indies in exchange for glassware, cloth, furniture, coffee and rum. Another very significant part of Beaufort is the "Old Burying Ground" which was deeded to the town in 1731. It contains graves of soldiers from the Revolutionary War, the War of 1812, and the Civil War. Captain Otway Burns' grave with the cannon from his privateer, is perhaps one of the best known. The old cemeteries in Beaufort attract many visitors every year. In the 1970s, Beaufort became a major summer resort town and the town and the waterfront were restored. It is now a beautiful area with a fun boardwalk and a downtown area that is full of little shops and nice restaurants and lots of spring and summer entertainment of music, shows and tours. 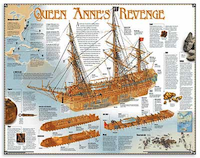 In 1997, Beaufort was in the spotlight with national and international news as the wreckage of what is presumed to be Blackbeard's flagship, The Queen Anne's Revenge, was discovered in 20 feet of water approximately 2 miles from the Beaufort Inlet. Artifacts have been identified, and some retrieved. Beaufort has a beautiful view of water, the Beaufort Inlet and the islands where you can see the wild ponies wondering around. This is all close enough to take pictures of or you can take one of the “ferries” from the Beaufort waterfront to the islands to see everything really close up. 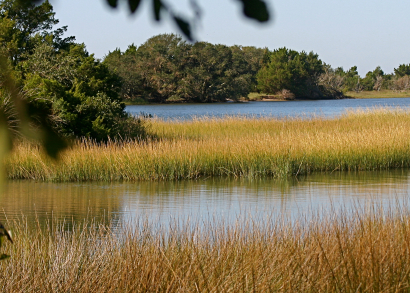 So much of Beaufort can be seen from walking, biking or taking the tour bus. All of this can be yours and you can start enjoying all the beautiful sights and sounds of this very unique town by giving one of our agents a call. 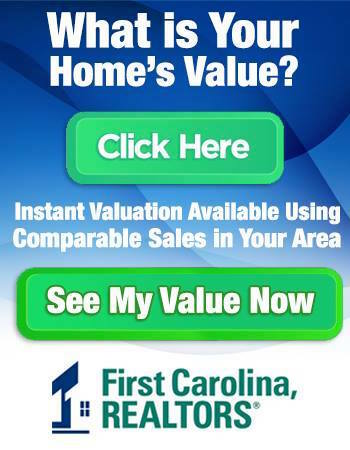 First Carolina, REALTORS® 252-447-7900. We will be glad to show you around and show you everything we have to offer in this area and other areas that you might be interested in. 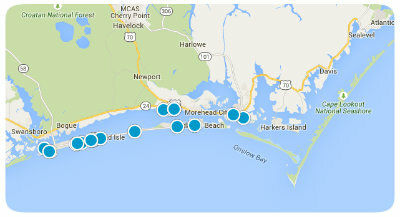 Another fine quality of Beaufort and the entire Crystal Coast Area are the dining opportunities. Eastern NC may in fact possess the finest food in our era. 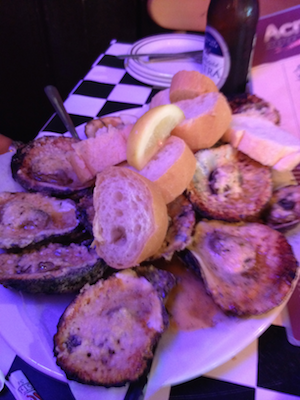 Seafood is fresh, many different diverse foods all add up to one special dining experience most any night.